Columbian volleyball players take the court prior to their home match against Calvert Monday. 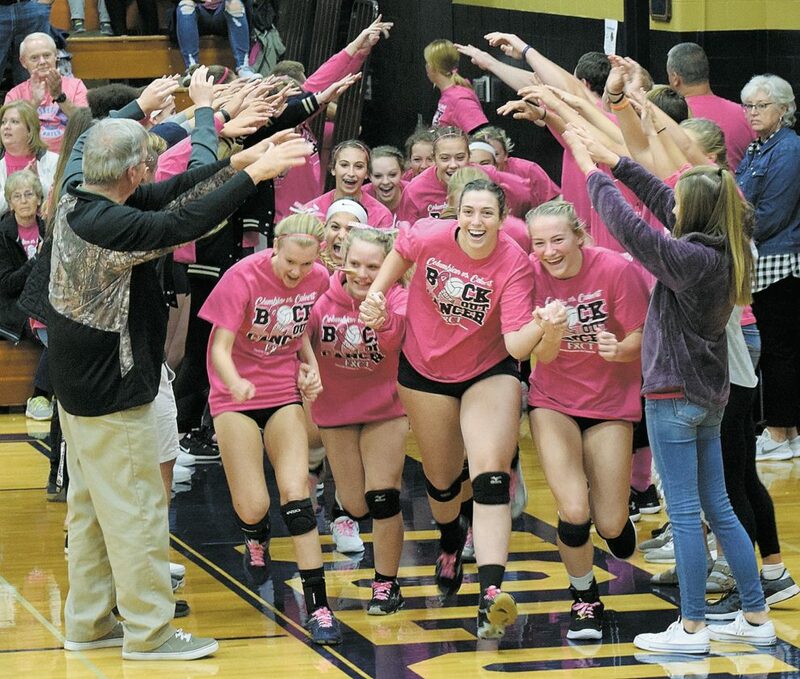 The teams played each other for the Block Out Cancer match to benefit Financial Assistance for Cancer Treatment. For complete coverage, see Page 1B. To view more photos from this event, visit cu.advertiser-tribune.com.